QRMFN Committee President James Constable with 2017 Backbone of the Bush Award recipient Tamara Hall. 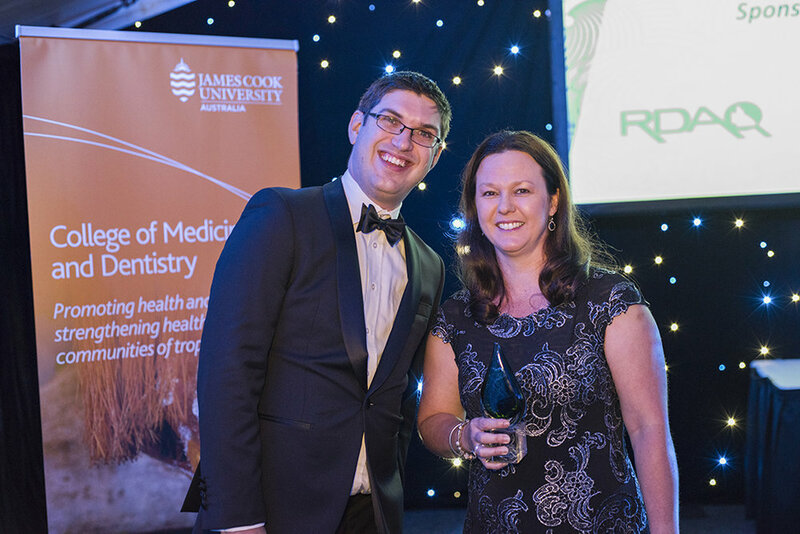 Each year the QRMFN recognises the incredible contributions made by the spouses and partners of Queensland’s rural doctors through the Backbone of the Bush Award. The QRMFN and Health Workforce Queensland are thrilled to announce Tamara Hall as the 2017 Backbone of the Bush Award recipient. Tamara has lived in rural Queensland for over 15 years. She is a supporting wife, a devoted mother, a long-serving practice manager, a part-time physiotherapist and a dedicated community member to name a few. Last but most definitely not least, is the support she has provided to her husband for over 21 years. She has supported her husband through his clinical placements across Julia Creek, Woorabinda, Inglewood and Gladstone. She has supported her husband through his internship in Townsville. She has supported her husband through further training across Rockhampton, Mackay and Stanthorpe. She has shared her husband’s passion and dream to establish a rural general practice in Oakey and has been an integral part in the expansion of two additional rural general practices servicing Kingsthorpe and West Toowoomba. Older PostHave you heard about our Small Grants Program?